By Rachel Held Evans, on March 23, 2012. I confess to squealing just a wee bit when I first saw the trailer for "The Hunger Games" movie. Suzanne Collins’ trilogy was the first foray into fiction I enjoyed after a year of research and writing for "A Year of Biblical Womanhood", so I surrendered myself totally to the unfolding stories and, like so many others, lost a lot of sleep as I worked my way through The Hunger Games, Catching Fire, and The Mockingjay. So this is the big week in which the Hunger Games hits the big screen, which means fanatics are indulging themselves in all-things Katniss, Peeta, and Panem. You can get a Hunger Games tattoo. You can make mockingjay cupcakes. You can check out the latest styles of the Capitol designers at Capitol Couture. You can figure out which district your hometown would fall into in Panem. (I must say, I loved these maps. I think I live in District 12!) You can buy a truly awful Christian t-shirt to wear to the theater. You can even burn calories through a Hunger Games-inspired workout. Yesterday, when I spotted Jennifer Lawrence as Katniss Everdene on the cover of People Magazine with the headline “THE HUNGER GAMES” in bold white letters, I couldn’t help but wonder if Suzanne Collins set all of this up to remind us of how closely our culture can resemble that of The Capitol—what with our excess, our reality shows, our glorification of violence, and our compulsive need to shove every good story through our celebrity-obsessed media machine. That’s one of the things I liked best about The Hunger Games. The series, while entertaining, also raises some serious questions about oppression, violence, materialism, entertainment, and justice. At Red Letter Christians, Marty Troyer wrote an excellent piece about The Hunger Games from a pacifist perspective. Monica Selby, at Her.Meneutics, wrote about why we need dystopian tales. Amy Simpson, for Christianity Today sees Jesus in The Hunger Games. But my favorite analysis of The Hunger Games has come from the delightful and wise Julie Clawson. Not only has she written a couple of fantastic articles about The Hunger Games, she’s written an entire book entitled The Hunger Games and the Gospel released this week by Patheos Press. I admit I am usually skeptical about books that claim to offer a "Christian perspective" on popular culture. But I trust Julie Clawson. And she does not disappoint. Not unlike the Hunger Games series itself, I readThe Hunger Games and the Gospel in one sitting. Clawson does a fantastic job of reminding readers that Collins’ world of occupation, oppression, excess, and poverty is not so far removed from our own, and that it is exactly the kind of world in which Jesus himself lived. “It was in frustration at this shallowness among his fellow Romans that the 1st-­?century C.E. satirist Juvenal coined the terms 'panem et circenses' (bread and circuses) to mock those who were too distracted to care about justice or the needs of the oppressed. The handful of Hunger Games readers who happened to take Latin in high school would have been clued in that the series was directly referencing the bread and circuses of ancient Rome. Early on, we read that the country itself is named Panem (bread) and has a tesserae system that provided the districts both food and a higher chance at a ticket to the games (but as participants, not as spectators). But it isn’t until the final book that Plutarch, the ex-Head Gamemaker turned rebel, explains to Katniss that 'in the Capitol, all they’ve ever known is Panem et Circenses,' and, like the Romans, they 'in return for full bellies and entertainment . . . [gave] up their political responsibilities and therefore their power.'" 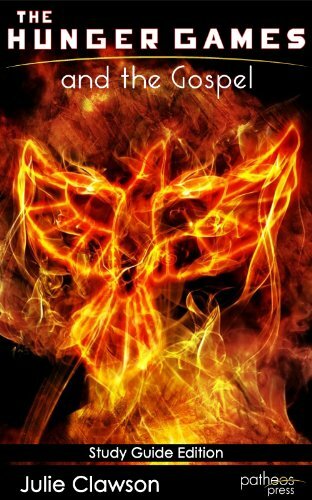 This was a challenging and engaging treatment of The Hunger Games from a gospel-centered perspective that I highly recommend, especially to Hunger Games fans. You can purchase The Hunger Games and the Gospel here. So, are you a Hunger Games fan? What sort of stories, articles, and essays about The Hunger Games have you found particularly fun or engaging over the past few weeks?